In summary, the European official claimed that Blanchard’s study was not relevant to the debate about how the crisis is being tackled because a) there are questions about how fiscal multipliers are calculated and b) other factors have to be taken into account. The message was clear: It is not failed policies or austerity in the eurozone that is causing prolonged recession in many countries; it is the fact that public debt had risen to levels that strangled their economies and that measures needed to be taken to reduce this debt. Although he didn’t mention it by name, the “serious academic research” Rehn cited was a 2010 paper written by Carmen Reinhart and Kenneth Rogoff called “Growth in a Time of Debt”. The two economists argued that historical analysis shows countries with debt-to-GDP ratios above 90 percent see their growth rates suffer. While the eurozone’s crisis policy has not been based on this paper alone, it is one of the academic studies that has been used to justify all-out efforts to reduce public debt as quickly as possible, even when other economists pointed out that this might be more destructive because it could cause deep and prolonged recessions. This week, a new study from three doctoral students at the University of Massachusetts has cast serious doubt on the pertinence of the Reinhart and Rogoff paper. Thomas Herndon, Michael Ash and Robert Pollin suggest that there are three serious flaws with the research: There has been selective use of the data to leave out years of high debt and normal growth, the way countries are weighted is open to serious challenge, and five countries have been excluded from the study because of a coding error with the spreadsheet Reinhart and Rogoff used. 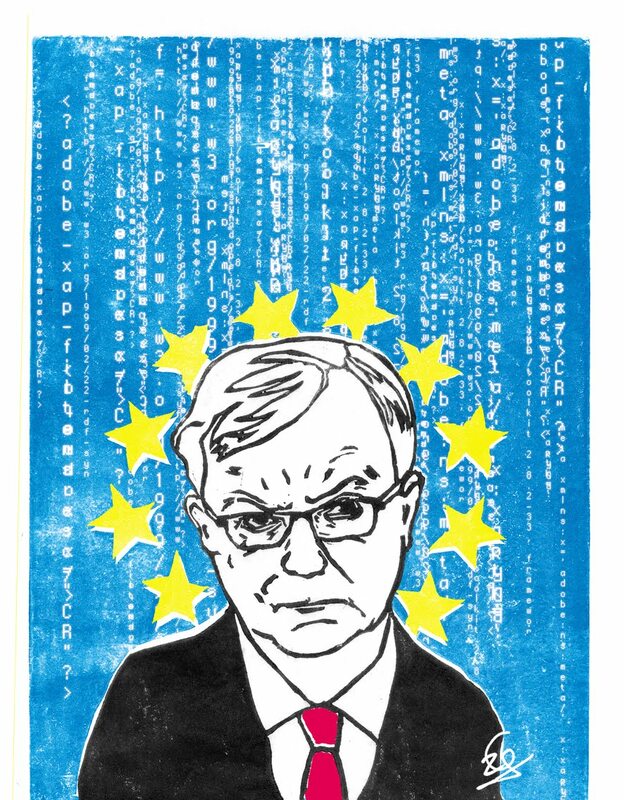 The doubts over the Reinhart and Rogoff study also bring into question the ease and confidence with which policymakers, such as Rehn, used it as intellectual justification for economic policy, especially in the face of doubts or strong criticism. Just as Blanchard’s findings on fiscal multipliers were not proof that austerity is a nonstarter, so Ash, Pollin and Herndon have not produced evidence that tackling high public debt is necessarily wrong. What both papers have done, though, is to press for a more urgent examination of the choices that are being made by eurozone officials and for it to be unacceptable for those in positions of authority to fob off critics. As the FT’s Alphaville blog aptly put it: “The point is perhaps that it’s very tricky to boil things down into a pat policy conclusion in any case.” This points to a serious quandary for Rehn. He dismissed questions about fiscal multipliers because he said there were doubts about the calculations and because other factors were also at play. However, exactly the same thing has now been said about the Reinhart and Rogoff study which he cited in his response: Economists have shown that its methodology is questionable and its interpretation is far too narrow. Where does this leave the European commissioner’s assertion that the most vital issue to all this is not to damage “confidence”? From fiscal multipliers to academic papers on debt, the number of unanswered questions about the basis on which Europe is forming its economic policy are mounting. Despite the European Parliament’s best efforts in recent weeks to question Rehn, Draghi and Eurogroup chief Jeroen Dijsselbloem about their major policy decisions, there have not been any satisfying answers. In fact, the whole process continues to desperately lack transparency and accountability, especially as key decision makers in European capitals other than Brussels face no scrutiny at all. This can’t be sustainable, especially when fresh doubt has been created about the scientific and intellectual underpinnings of the current policy course. If it’s confidence we’re after, it’s worth keeping in mind that few things erode people’s trust as much as the feeling that they’re being hoodwinked. This entry was posted in Economy, European Union, Greece and tagged Austerity, Carmen Reinhart, euro, European Commission, eurozone, fiscal multipliers, Greece, Greek bailout, Greek crisis, IMF, International Monetary Fund, Kenneth Rogoff, Olli Rehn. Bookmark the permalink. I just saw the uncle of the Boston brothers talking on TV. What an extraordinary courage from him. He is saying that what his nephews had done is inexcusable and that they had bringed shame to them, their family and their entire ethnicity. The result of what he said? Everybody will have to reconsider their prejudices against the Tchetchens. In this last writing, we all know what ” other factors” Rehn is talking about. But by avoiding of talking about them, we allow others to think that everybody in Greece are accomplices of them, and it makes difficult to believe that the responsibility of the “mistake” on the multiplicator is really of the IMF and EU. What the **** does this have to do with Boston? Are you out of your mind? The sad reality is that mainstream economics is a disaster zone. Politicians who think that they can rely on the US-dominated neoliberal garbage that has been published in American journals over the last three decades are starting to learn the hard way — with public and political humiliation — that this is not so. In the end, the truth will out. The question is are we at the end, or is this only half way through the terrible mess that self-serving extremists (mostly from the USA) have created for the entire world? And it is the entire world, because the UN, the IMF and the World Bank are controlled by the USA. it’s always a blend of economics and politics. Yes, deficit spending reduces the impact of a recession, nobody (nope: not even the dastardly germans) actually disputes that. But: where does the funding for the deficit spending come from? -Financial repression? (capital controls+inflation) Not allowed in the eurozone. -bilateral loans? that was greek bailout 1. Didn’t work too well, did it? -lenders of last resort? The point about a “last resort” is that it is not, by design, a place where you want to be. And that’s not just Merkel telling Papandreou “we can’t make it too easy, or everyone will want one”. That’s how the concept of Lender of Last Resort was always meant to be. As designed by (roll of drums) the British. I’m actually starting to feel positive about Greece. Maybe that’s because I’ve been looking at Cyprus a lot recently.